We are slowly beginning the process of completely transforming our master bathroom from builder grade to awesome and today I am thrilled to show you our first update! 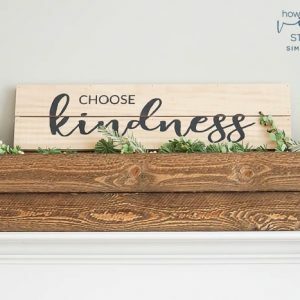 This one is simple and easy, and it comes with a $150 Giveaway too! Woot woot! So keep reading, and watch my short video 🙂 to see how to simply upgrade your builder grade bathroom mirrors into something fabulous…in only 10 minutes! 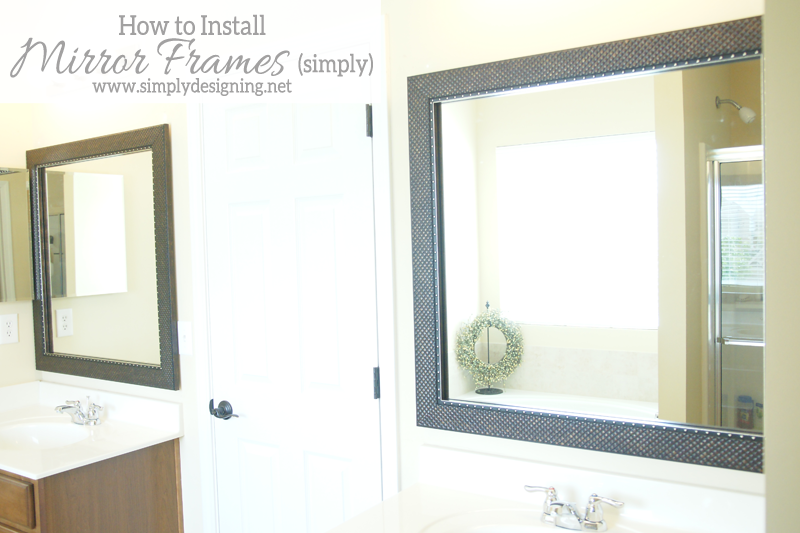 I am sharing How to Install a Bathroom Mirror Frame in my short video! I love MirrorMate Frames and I recently installed one in my kid’s bathroom! You can see the original installation HERE and what my kid’s bathroom looks like now HERE! It’s amazing what a big difference a beautifully framed mirror can make! So I was grateful that MirrorMate was willing to help me update my master bathroom this year! 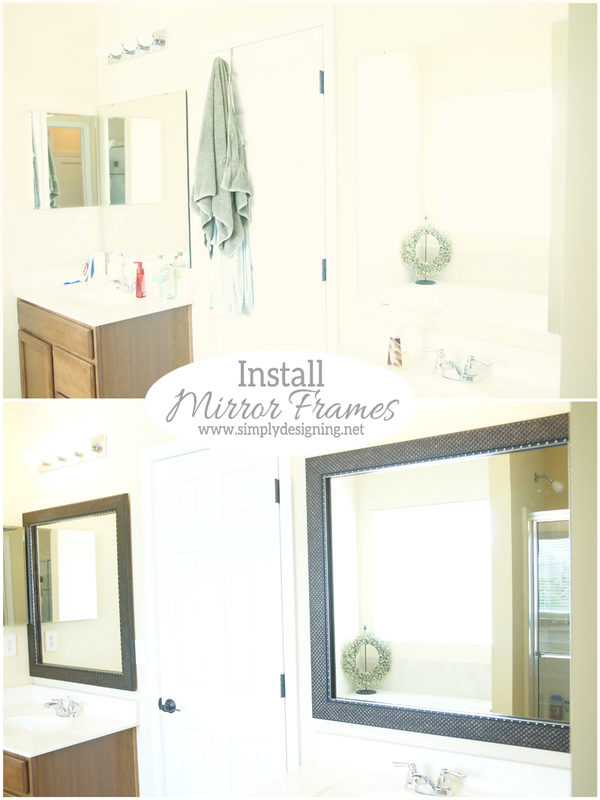 Thanks so much to MirrorMate for making this post and this portion of our bathroom remodel possible! In our master bathroom we have two separate vanities and two separate mirrors so we knew we needed to pick out something for our bathroom that would be beautiful, not too ornate and perfect for a space that is for a man and a woman. After going back and forth a few times on our options (I have a hard time making a decision sometimes!) we finally decided that we both really liked this frame here! It is the Tribecca Burnished Brown and Silver. I think it is the perfect combination of modern and traditional, it adds a rich depth of color to the space without being overwhelming and both my husband and I love how it looks! 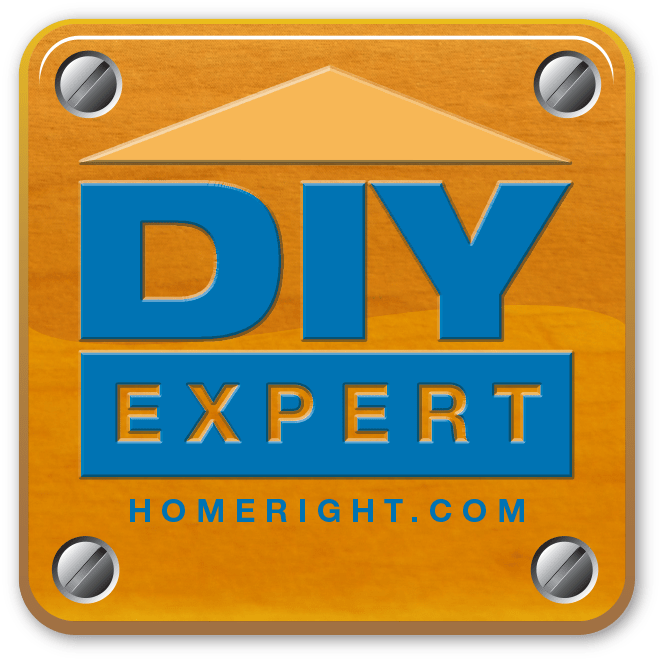 Want to see how easy it is to install these!? Check out my video below!!! It is short and the end result is amazing!!! And here is a quick before and after photo! 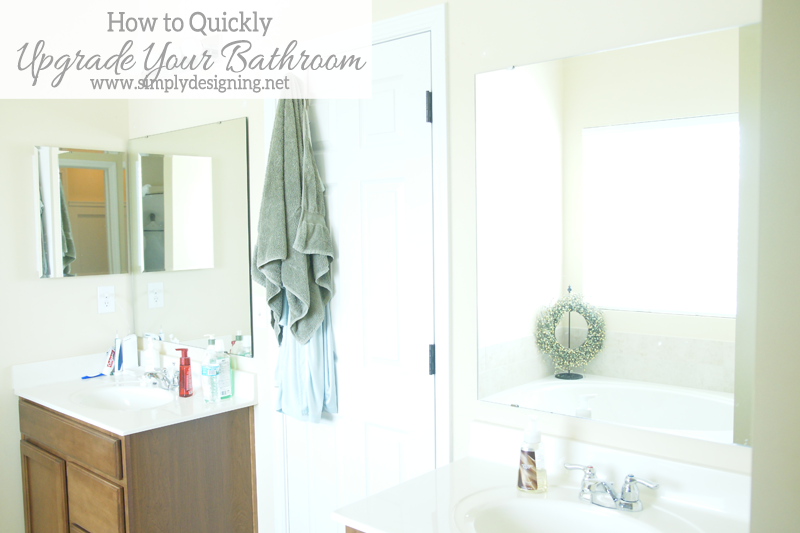 I can’t believe how in literally about 10 minutes per mirror, we completely upgraded our bathroom! This is the first of many changes coming to our master bathroom this summer and if you follow me on Instagram, you probably have an idea of what our next update is! And here are just a few more after shots because I simply can’t get over how beautiful these look! 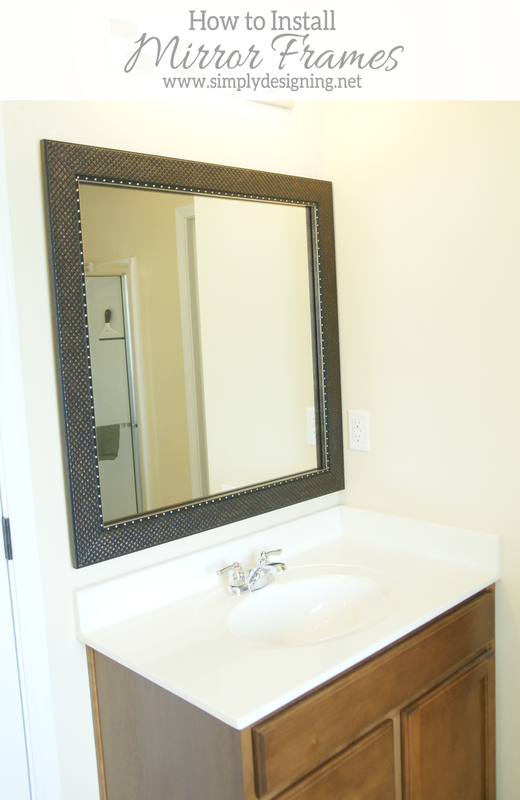 MirrorMate has an amazing selection of beautiful frames that you can easily install on nearly any bathroom mirror! 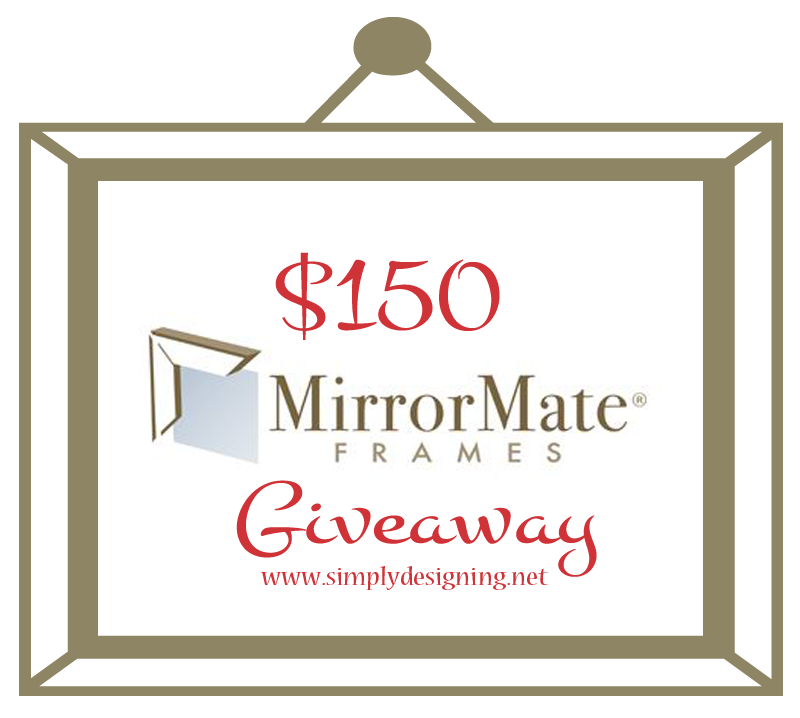 And the BEST news is that today I get to give one lucky reader $150 credit to MirrorMate Frames so that you can update and upgrade your bathroom too!!! A big huge thanks to MirrorMate for making this post possible! *Winning entries will be verified. 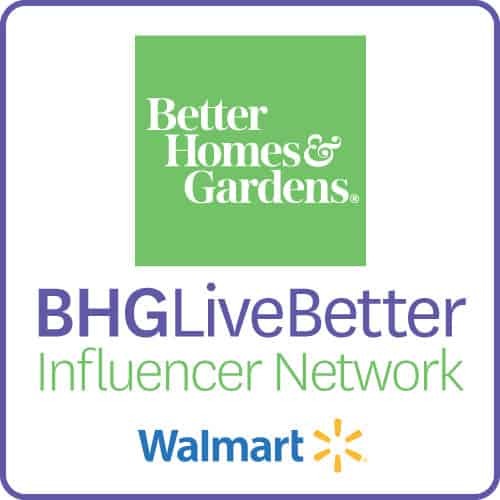 This giveaway is in no way affiliated, administered or endorsed by Facebook, Pinterest, Twitter or Instagram. No information will be disclosed to Facebook, Pinterest, Twitter or Instagram by entering this giveaway. No purchase necessary to win. Odds of winning are based on number of entrants. Winner for prize package will be chosen randomly through Rafflecopter. Giveaway will run from 5/20/2014 until 6/9/2014. Winner will be announced on 6/10/2014 in this blog post and the winner will need to respond within 48 hours of announcement via email to claim their prize or another winner will be chosen. Winner must be 18 years of age or older and a US citizen with a US mailing address in order to win. Winner is responsible for paying any necessary taxes on winnings. 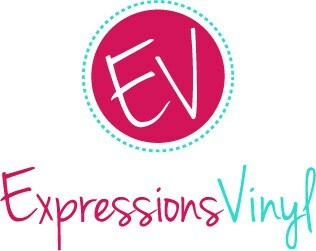 All prizes will be mailed / emailed / fulfilled by the sponsor and the blog owner(s) involved are not held responsible if the prize is not fulfilled. A list of winners may be requested after the giveaway has ended. 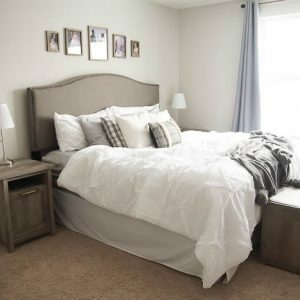 You can&#39;t beat 10 minutes to update a space! i like the providence gold frame. I&#39;m crushing all over the Bellemeade Traditional Cherry! would match my cherry cabinets nicely! Hmm – so many to choose from! I love the Venetian Silver Wave, because it can be either traditional or modern. I like the chelsea frame in black. The Naples Antique Silver is perfect for my bath! I have a bathroom that needs a mirror frame. I hope that I win! I like the Chelsea Classic White. I love the Tribeca Burnished Brown and Silver! It really is quite the the transformation. I cannot wait to do this to my bathrooms. There&#39;s so many I love! The Chelsea brushed bronze and Chelsea espresso… Just to name a few! I love the Chelsea espresso… And pewter bronze. Just to name a few! There are so many I like!! Wow, what a difference! I would try the Gramercy Martini style. It is amazing how much change can occur with some beautiful wood! We have a Mirror Mate frame in our guest bathroom. It was so easy and simple to put up. I really love the way it completely changed theverything look of the bathroom! I really want another one for the master bath. 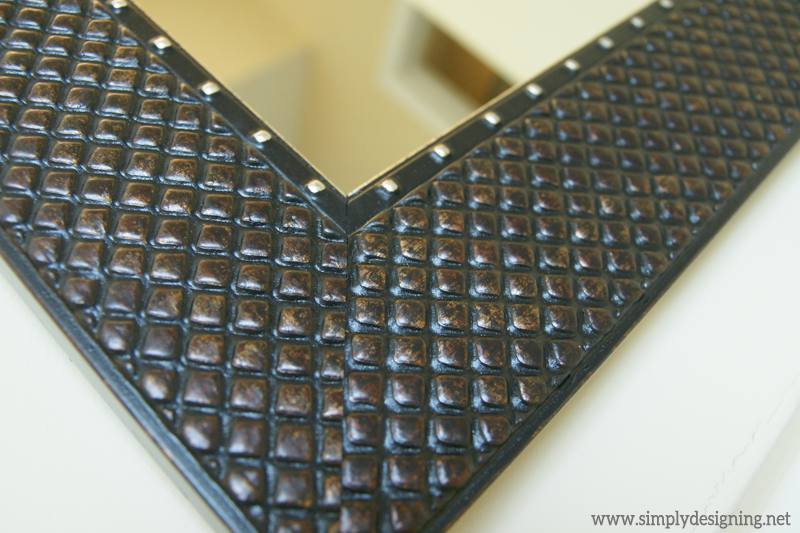 Remodeling the master bath and we like the Pemaquid slim in either Black or Dark Bronze. Fantastic solution to the older solid large un framed mirrors. I love the Chelsea Espresso!! My favorite frame is Grandezza Bronze. Yippee! I won. I sent you an email. Let me know if you did not get it!